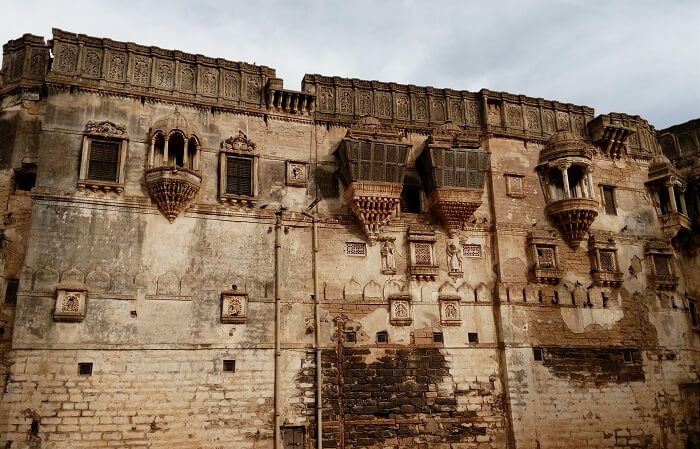 Primeval temples, magnificent hills, and a deep sense of tranquility make the desert city of Bhuj, one of the favorite tourist destinations in India. 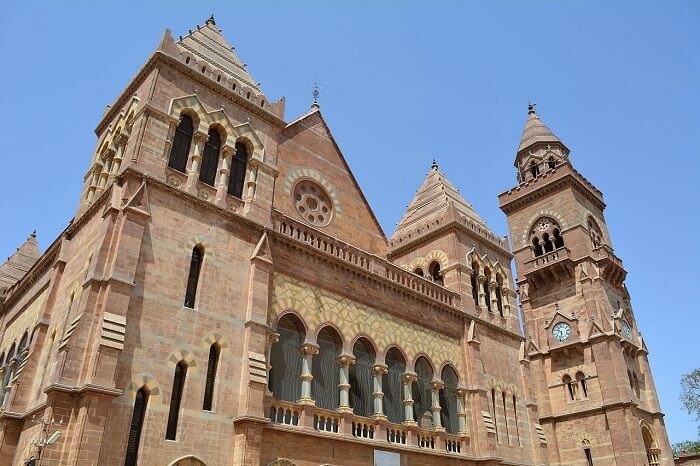 Associated with the ancient history of kings and empires, Bhuj connects you to a range of civilizations and takes you through the prehistoric archaeological remnants of the Indus Valley Civilization, places associated with the Mahabharata, and Alexander the Great. Excited already? 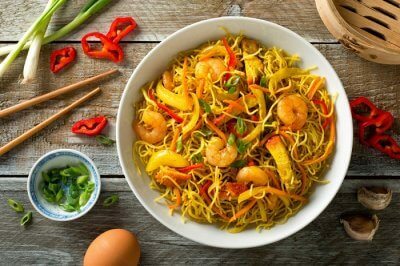 Then don’t miss out on these best places to visit in Bhuj on your next trip! Situated on the Great Rann of Kutch, Kutch Desert Wildlife Sanctuary was declared a sanctuary in February 1986. Being a part of part of Bhuj Tourism, it is one of the largest seasonal saline wetlands that has an average water depth between 0.5 to 1.5 meters. The sanctuary is home to the greater flamingos, Indian porcupines, spiny-tailed lizards, black-necked storks, and Indian cormorants. While the park is perfect to be explored in winters, one can also visit the buried Dholavira city of Harappan civilization. One of the popular places to see in Bhuj is Maharao Lakhpatji’s old palace – The Aaina Mahal or ‘Hall of Mirrors’. Built in the traditional Kutchi style, Aina Mahal is now a vibrant collection of art and archaic pieces which is a treasure trove for all the history buff and art lovers. The Hall of Mirrors in the palace is the main attraction for the visitors as it has the most number of glass exhibits on the walls, ceilings, pillars and even windows, adding to the overall charm of the glittering room. 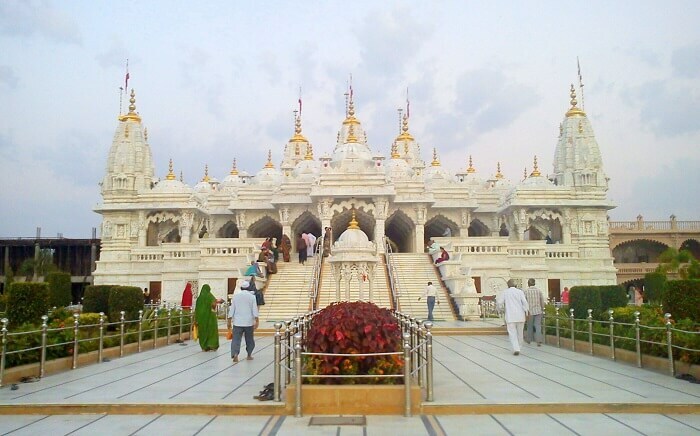 Shri Swaminarayan Temple is one of the famous Bhuj tourist places. Initially built in the year 1822, it was the first of many Sampraday Swaminarayan temples. Located near the Hamirsar Lake in Bhuj, it is an architectural masterpiece built of marble and is a stunning place to visit. The completely white structure of the temple is surely going to be a visual treat for everyone. 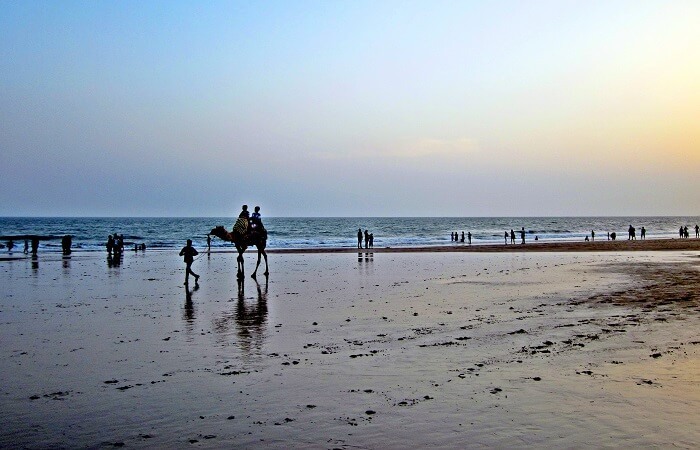 One of the must-visit tourist places in Bhuj Gujarat is the Mandvi Beach that is situated in Kutch. 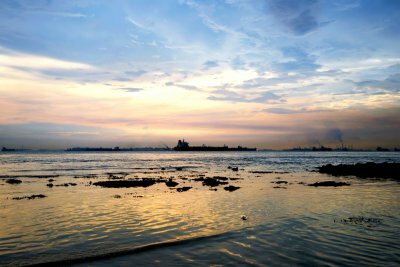 Being gifted with pristine seashores, and a clean environment makes this place a peaceful getaway from the city. In addition to being a laid-back beach destination, Mandvi Beach is also popular for its camping and water sports facilities. 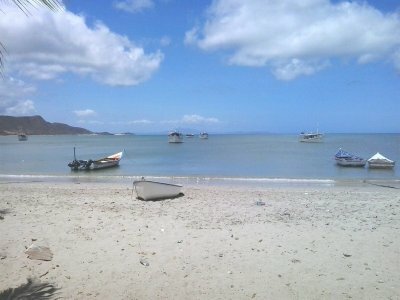 It is one of the secluded and undiscovered beach destination with clean water and beautiful views. 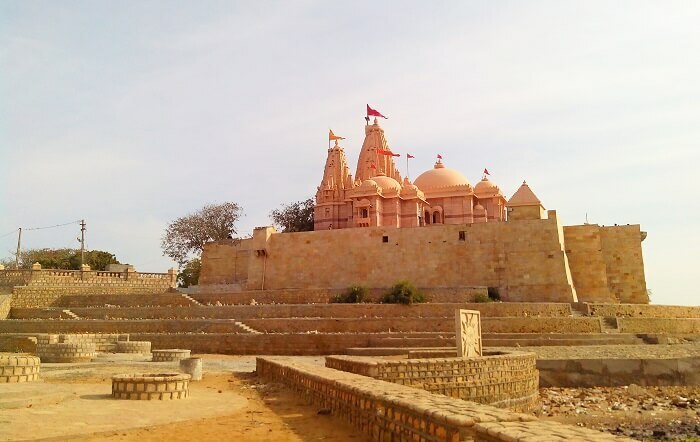 If you are in the desert city, you cannot afford to miss out on the famous Pirotan Island which is definitely one of the best places to visit around Bhuj, Kutch. 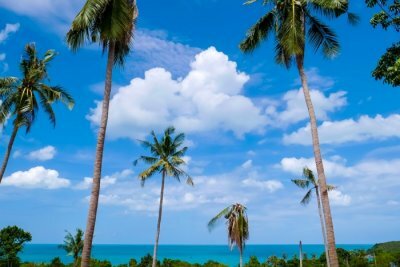 Spanning across 3 square kilometres, the Pirotan Island is one of the forty-two islands in the marine park area that offers an undisturbed rendezvous with the nature in its abode. 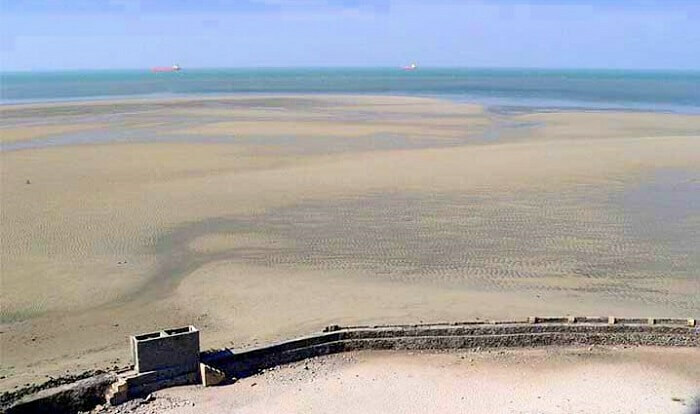 Being one of the two islands in the area which is normally permitted for tourists and visitors, Pirotan is said to be among those rare coasts in the world where one can spot corals by just walking by the shore in low tides. 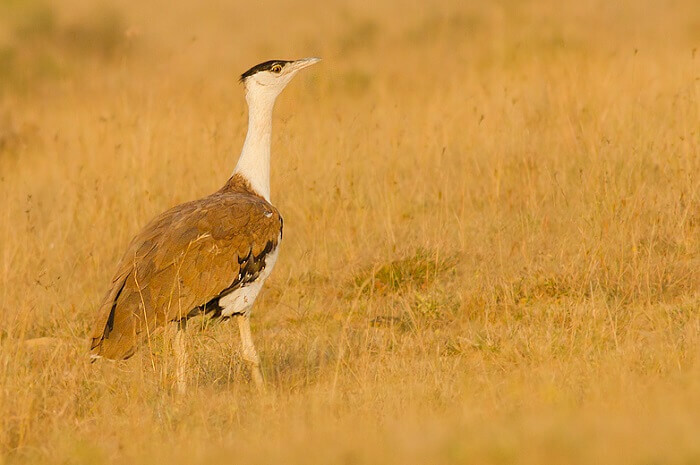 Among the many places to visit in Kutch, Bhuj, the Great Indian Bustard Sanctuary is one. Locally known as the Lala Prajan Sanctuary, the primary aim of this Sanctuary is to conserve the Great Indian Bustard. The best way to enjoy this retreat is by taking a stroll around the nature’s cradle while befriending the various species of Bustards. Also, look around for the Black and Gray Francolin, the Spotted and Indian Sandgrouse, Quails, Larks, Shrikes, Coursers and Plovers. Situated on the suburbs of the ethnic town of Bhuj, Prag Mahal is one of the architectural wonders in India and is a pride of Bhuj Tourism. Constructed in the 19th century, the grand palace boasts of Gothic style windows and Corinthian pillars. Built mostly out of red sandstone, one can find elaborate carvings on the walls, and stunning art on the jharokhas at this magnificent palace. Other than that, the luxurious Mahal has the second tallest clock tower in the country which offers an amazing view from the top. 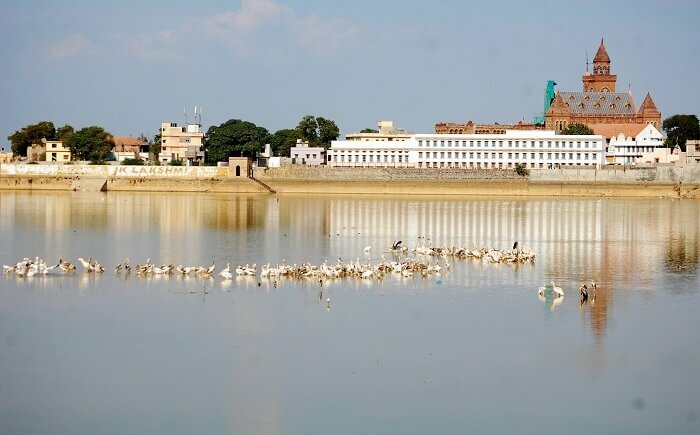 The Hamirsar Lake tops among the best Bhuj sightseeing places. 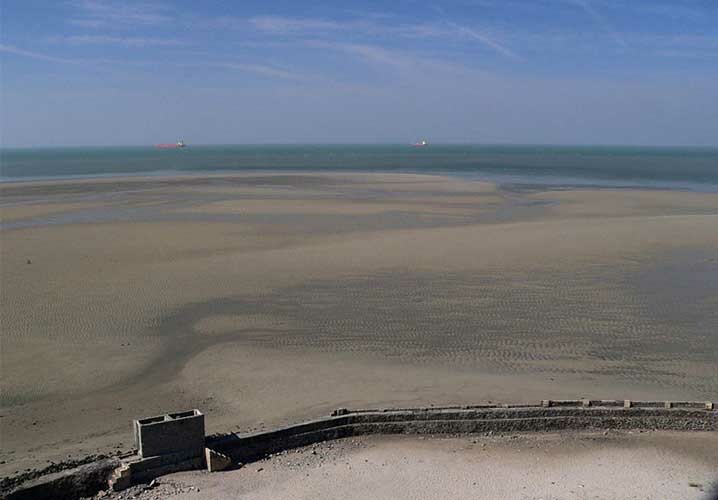 A man-made lake that is considered to be an oasis between saline and arid Kutch, the former kings built the lake to fulfill the domestic needs of the local people in the ancient times. 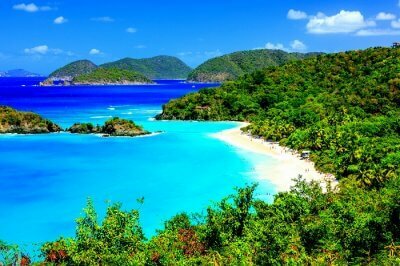 The lake is undeniably looks stunning, and is a must visit for all the travelers. Spread across an area of 3,847 square kilometers, the Banni Grassland Reserve has been identified as one of the last remaining inhabitants of Cheetah by the Wildlife Institute of India. 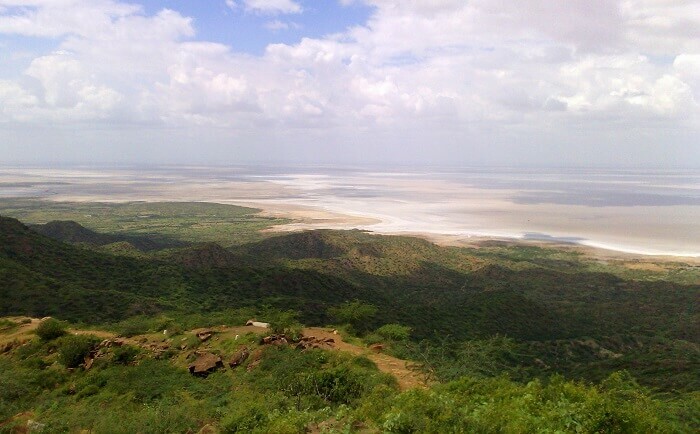 Being one of the must-visit places to visit around Bhuj Kutch, the grassland now is legally a protected under the status of a Reserve Forest in India. The grassland is also home to mammals such as the Nilgai, Chinkara, Blackbuck, Wild boar, Golden Jackal, Indian Hare, Indian Wolf, Caracal, Asiatic Wildcat, and Desert Fox etc. among others. 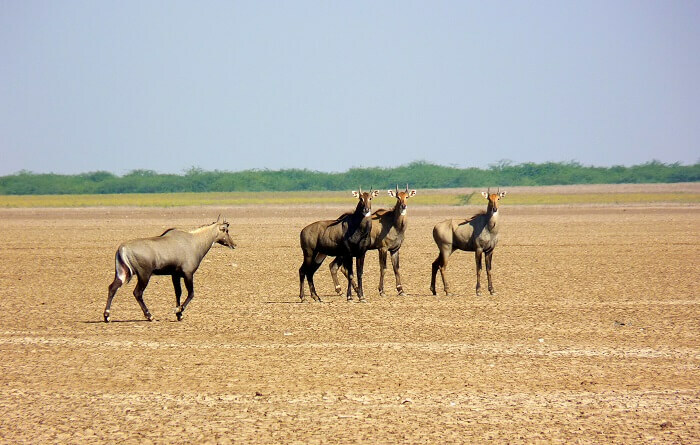 Being one of the popular Bhuj tourist places, the Chari-Dhand Wetland Conservation Reserve is located on the edge of arid Banni grasslands and the marshy salt flats of the Rann of Kutch. 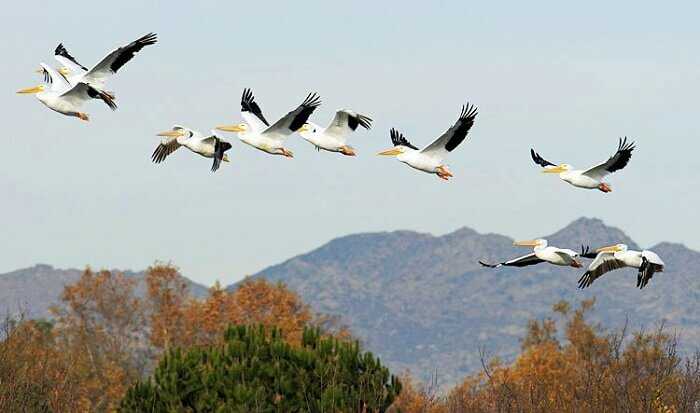 It is spread over an area of 80 square kms, and is home to nearly two lakh birds with migratory and endangered species of birds that flock in during monsoon and winters. The famous Koteshwar Temple is located at a place where the vastness of dry land meets the unfathomable enormity of the sea. Koteshwar Temple is the last outpost of human construction at the westernmost limit of India, and is one of the must-visit places to visit in Kutch, Bhuj. Koteshwar Shiva is said to be the Bhairava of Hinglaj Mata residing at Hingla. Bhuj offers a lot to experience which is beyond one’s imagination. 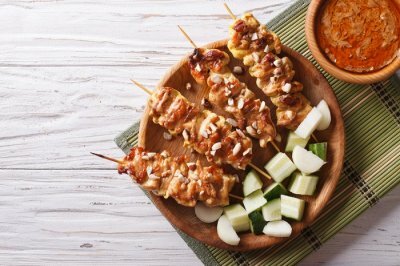 And to discover the charm of such an incredible destination, include these amazing places to visit in Bhuj in your itinerary and book a customizable Gujarat tour packages with TravelTriangle. Happy traveling!